The Golden Circle is for most travellers a first introduction to Iceland, after arriving in Reykjavik. These divers sights are close to the capital, easy to reach and can therefore be quite crowded. 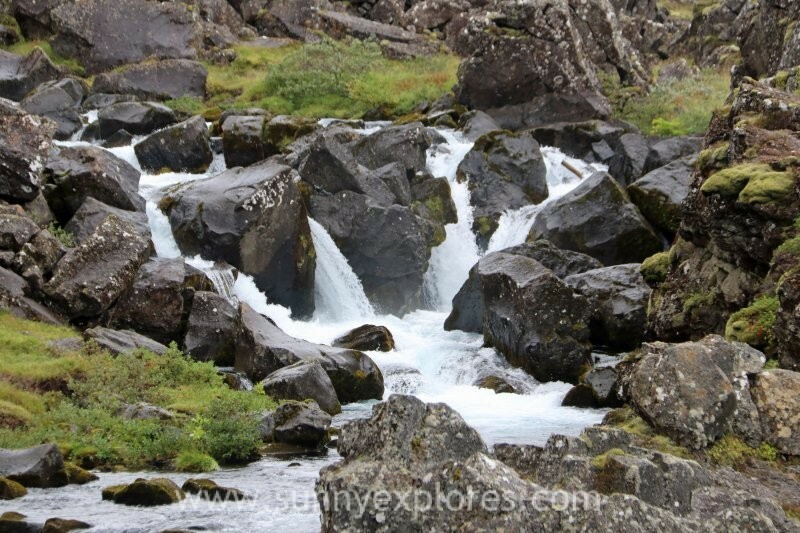 The Golden Cirle route includes Þingvellir National Park, de geysirs Gesyir and Strokkur and the waterfall Gullfoss. Þingvellir National Park has been declared a UNESCO World Heritage Site both for its cultural and historical significance as well as natural and geological uniqueness. It’s a area full of dried magma fields, covered in moss and carved by glacial springs. Special and intriguing are the tectonic plates. The area lies directly on the mid-Atlantic ridge, where the North American and Eurasian tectonic plates are slowly diverging. 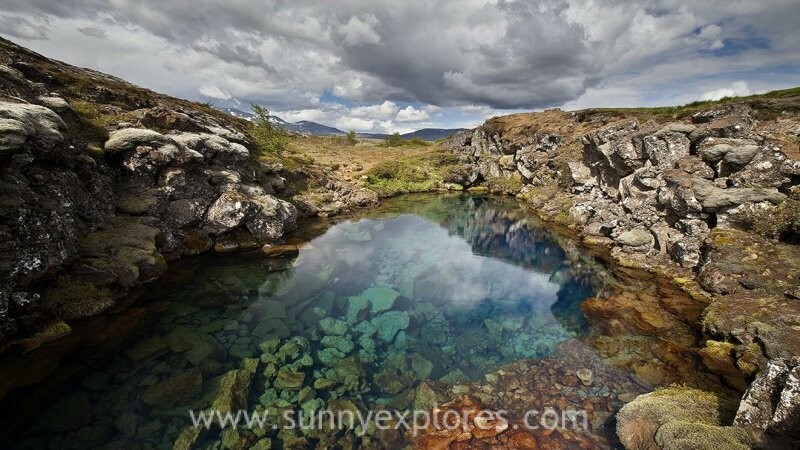 Continental drift created fissures that are now submerged, such as Silfra, an amazing place to dive. Þingvellir can be translated as ‘Fields of Parliament’. From 930 AD until 1798, it was the assembly site for the national parliament of Iceland, the Althing. The open-air assembly was a forum for the old Vikingtribes to recite laws and make amendments, to resolve conflicts and feuds, and to make trade and marriage arrangements. Speakers at the assembly made use of the acoustics of canyon walls to help their voice carry further. 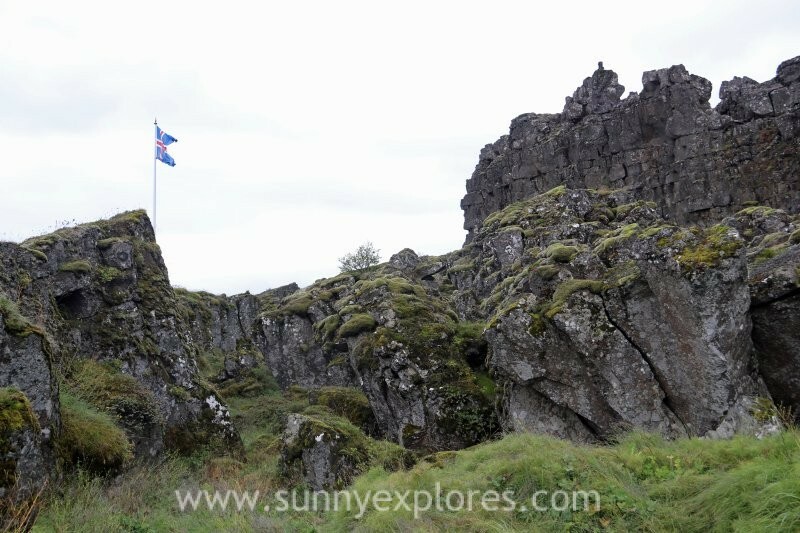 It was also at Þingvellir, in 1000 AD, under threat of invasion from Norway, where the decision was made to abandon the Norse Gods and to convert to Christianity. To symbolise the country’s change, the legal speaker threw idols of the old deities into the northern waterfall Godafoss, the ‘Waterfall of the Gods’. The Almannagjá gorge is one of Þingvellirs most impressive and well known features and marks the eastern boundary of the North American Plate. After a walk through this cliff-lined ravine, you can see the Lögberg. The legal speaker stood on this rock to adress the crowds. The Oxará river runs through the gorge, falling down as the waterfall Öxarárfoss. The Öxarárfoss flows out the river Öxará, cascading in two drops over the cliffs of the Almannagjá gorge, which marks the eastern boundary of the North American and Eurasian tectonic plates. The waterfall has a height of 13 meters. The pool of water at the waterfall’s base is dotted with large, smooth rocks. During the depths of winter, the waterfall is entirely frozen over. 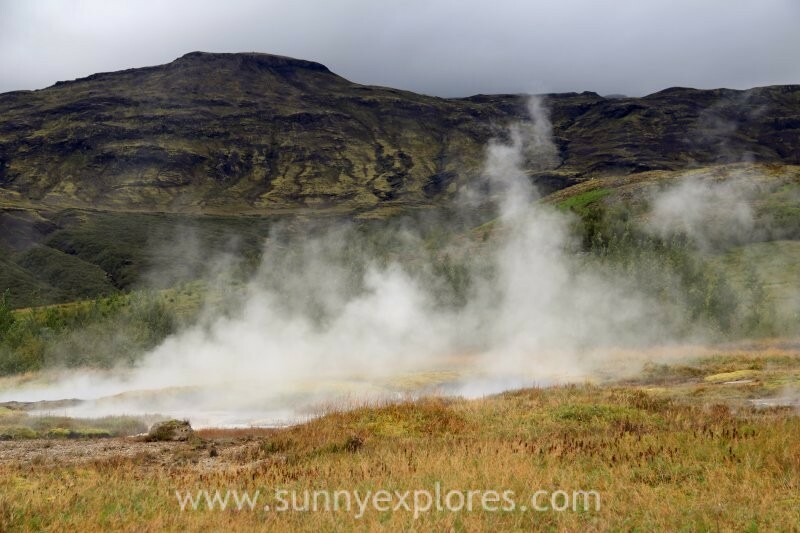 Geysir gave its name to the natural phenomenon, to geysers all around the world. Geysers originate in deep vertical pipes, which are full of water. 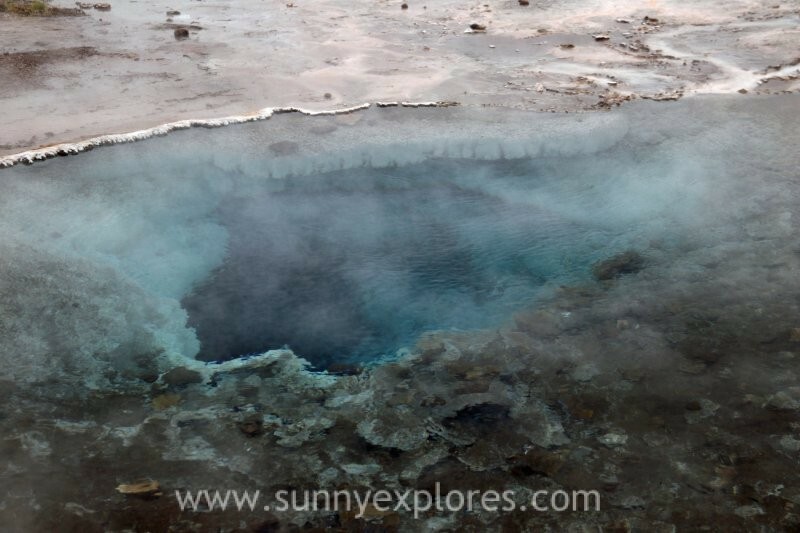 The water on the bottom comes into contact with hot rocks and starts to boil. This causes the water to expand and rise. The cold water on the surface forms a kind of lid that stops the water until the pressure becomes too much and the water spouts upwards. 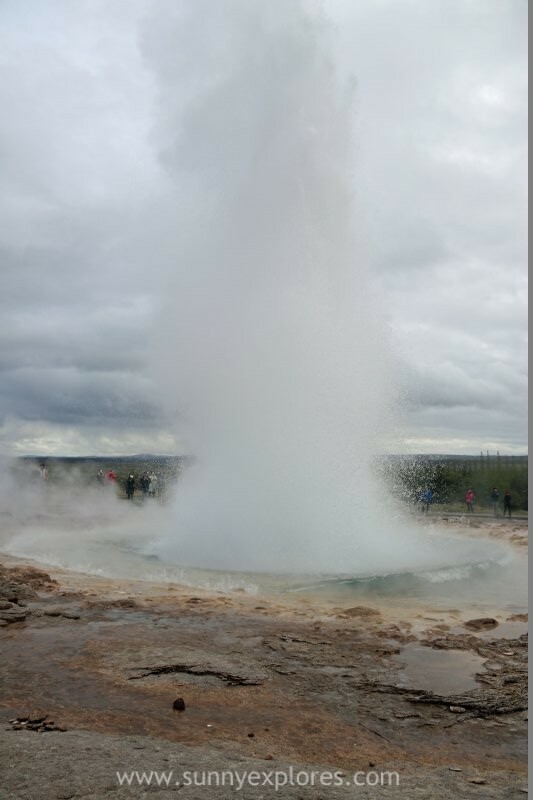 At the Strokkur, at the moment the most impressive geyser, this lid is clearly visible. Strokkur is the country’s most famous hot spring, shooting vast jets of boiling water from 20 meters up to 40 meters high. This geyser erupts every five to eight minutes. Active geysers like Strokkur are rare, due to the fact that many conditions must be met for them to form. The first condition that is necessary is an intense heat source; magma must be close enough to the surface of the earth for the rocks to be hot enough to boil water. Iceland is located on top of the rift valley between the North American and Eurasian tectonic plates, so this condition is met throughout most of the country. Secondly, you will need a source of flowing underground water. In the case of Strokkur, this comes from the second largest glacier in the country, the Langjökull. Meltwater from the glacier sinks into the surrounding porous lava rock and travels underground. Finally, you need a complex plumbing system that allows a geyser to erupt, rather than just steam from the ground. Above the intense heat source, there must be space for the flowing water to gather like a reservoir. From this basin, there must be a vent to the surface. This vent must be lined with silica so that the boiling, rising water cannot escape before the eruption. The water in the Hvítá river travels from the glacier Langjökull, before cascading 32 meters down Gullfoss waterfall. 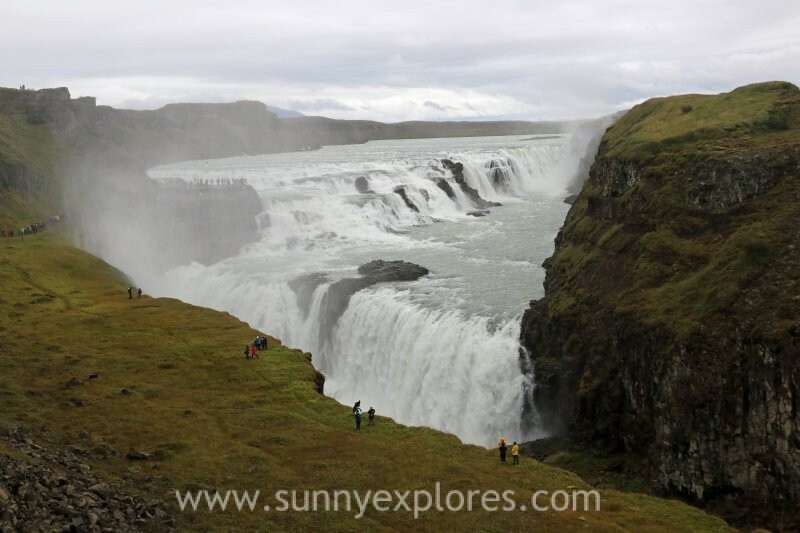 The canyon walls on both sides of the waterfall reach heights up to 70 meters, descending into the great Gullfossgjúfur canyon. Geologists believe that this canyon was formed by glacial outbursts at the beginning of the last ice age. When you climb the platform above the ravine, you have a beautiful view. Down at the waterfall you will get soaked by the spray water. It feels like an ever-rainy-world. If you can’t get enough of waterfalls, you can also visit the Faxifoss, situated only 12 kilometers from the famous Gullfoss. 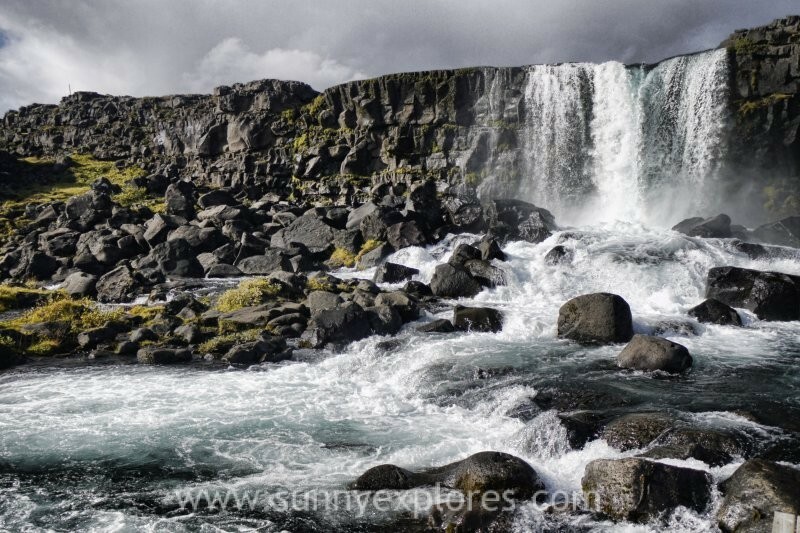 The Faxifoss is extremely wide, more than 80 meters. The waterfall is about seven meters high. The surrounding landscape is beautiful. 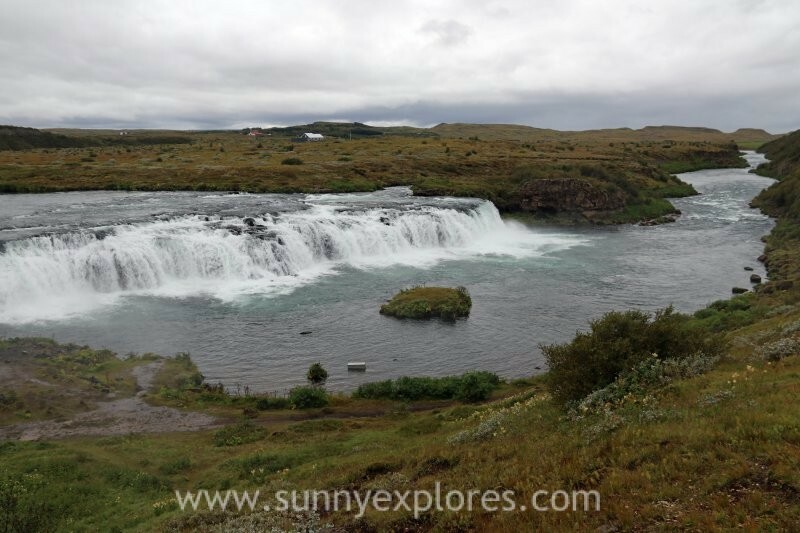 Although never lacking water the waterfall has also been named Vatnsleysufoss meaning the waterfall with no water or the waterfall with shortage of water.